Today on 'On Writing', we have Hanadi Falki, who is a recipient of the University Gold Medal for English Literature (Aligarh Muslim University) and has a Masters degree in Creative Writing from Auckland University of Technology, New Zealand. Over the years, she had a varied and stimulating career - that of a Communications Director, an Editor and Digital Content Specialist to a Stereo Compositor and a Rotoscopy Artist. She considers herself as an optimistic idealist and an explorer, gleefully looking forward to the challenges life throws at her. Welcome to 'On Writing', Hanadi Falki! I have always been fascinated by storytelling. It's kind of silly, but the truth is that I started penning down short stories in 5th grade to preserve the memories of enacting them with my siblings. 'Little Women' by Louisa May Alcott awoke the writer in me. I could relate to Jo March who loves reading, writing and composing plays for her sisters to perform just like I did. And just like her, I too hoped to write a great novel when I grew up. After a master’s degree in Creative writing, I wrote ‘The Price of Our Silence’ and finally fulfilled my dream of taking my readers on a tour of the world I see. Naming a character is an important part of storytelling. It took me hours to come up with the name for my protagonist, Zubeida, because it had to be an unique Muslim name. And to make it easier for my readers to pronounce it, she got the endearing nickname ‘Zuby’. 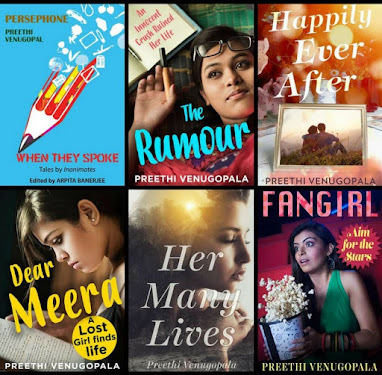 Since this was a novel about the Indian youth, I wanted some popular names for the other characters that everyone could relate to. We all must have come across an Aditya, Tanya, Tarun or Vimal in our everyday interactions with the outside world. I even changed the name of one of my character at the last moment at the advise of my mentor and beta readers. My writing process is quite flexible depending upon my mood. There are days when I write non-stop for hours at end, nature’s call and rumbling stomachs aside, lost in the world I create, in deep conversation with the characters I bring to life. Then there are also days when I pull my hair out, try desperate measures to overcome my writer’s block, to pen down atleast one meaningful line. I have accepted this as a part of my writing journey, and I sometimes take a break, use that time to read instead, shake away that writer’s block, set a word-count target and achieve it everyday. Persistence and hard work is the key here. For me it is very important to avoid all distractions, wake up early in the morning and write with a fresh mind. Place doesn't matter as long as I have my laptop and some peace of mind. What is special about ‘The Price of Our Silence’? ‘The Price of Our Silence’ is a fictionalized critique of the global companies entering India and the struggles the young Indians go through, both personally and professionally. It aims to expose the dark secrets of the glamorous world of 3D stereo conversion industry. Against the backdrop of this blooming industry, lie the dark secrets of the race for power, status, favoritism, company politics and exploitation. The book also touches upon some serious issues prevalent in our society ranging from simple struggles of youthful attraction and jealousy to more serious ones like abortion, marriage and career choices, from the joy of the first kiss to the shock of a fatal illness, from silly pranks and antics to serious life-changing steps of life. 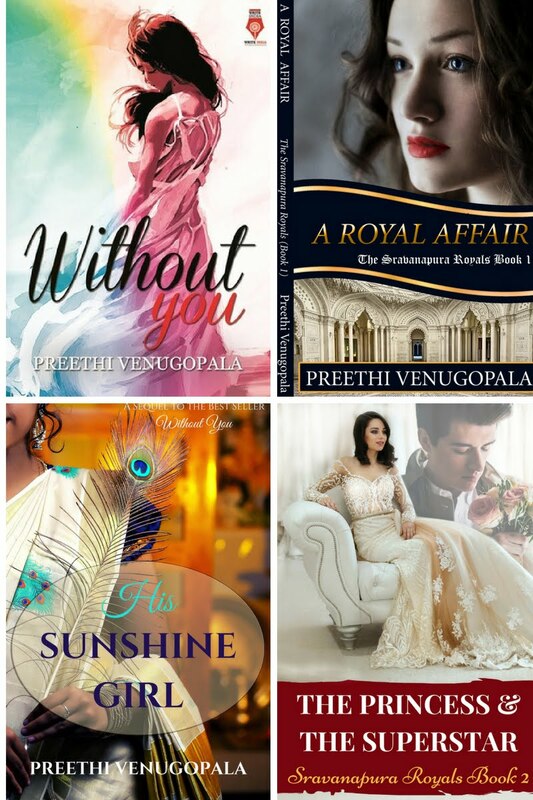 Although it has a love triangle on the forefront, reviews indicate that it is not the typical ‘Chick Lit’ or ‘Romance’ that is popular in the literary market nowadays. I don’t think I can comment on that. It’s like asking a mother to choose a favourite child. I love something in all my characters. The strength and patience that Zuby possesses, Adi’s different outlook on life, Tanya’s playfulness, Tarun’s endearing relationship with Zuby and many more qualities in each of my characters. How long did it take to finish writing ‘The Price of Our Silence’? It was in 2015 that I began writing ‘The Price of Our Silence’ and it took me 8 months to complete the first draft. After another year devoted to polishing the work and getting it ready for publishing, the book was finally launched by Prabhat Prakashan Publication House on 26th March 2017. Please share a passage or quote from ‘The Price of Our Silence’ for our readers. This quote has been mentioned on http://www.wiseoldsayings.com/india-quotes/ along with quotes by reputed personalities like Abdul Kalam and Atal Bihari Vajpayee. A book critic also made a special mention of these lines in her review on Amazon. I like e-books for their convenience and portability, but nothing can beat the smell of the ink, the sound of flipping papers and the smooth fold of a page in one's fingers. I believe that marketing plays a very important role in selling a book nowadays. In an age of short attention spans, when most of us are almost drowning in content from everywhere, authors need to make their books stand out in the crowd. Even good books fade into obscurity if they don't reach the targeted readers. Good content, a catchy title, interesting blurb, competitive price, innovative advertising and building the author's brand are all essential for a book to sell nowadays. 1) For all aspiring writers, my first and foremost advice would be to pick up that pen and start writing, or rather, turn on that laptop and start typing. Don’t stop to think while writing. Let it flow. Writing is all about momentum. Write at least 3000-4000 words per day. It may seem a lot, but if you intend to write a ‘60,000 words’ novel, you better get started at a reasonably doable rate. 2) Read, read and then read some more. It doesn't matter whether you pick up books from your favourite genre, or try a new author, or just go through a magazine even. Reading helps you grow as a writer. You never know what can inspire you. Besides there is always something valuable to learn from every book you read. Even from the ones you consider trash, since you will learn what not to do when you finally begin writing your own manuscript. 3) Never give up . As you make your way towards your goal of getting your book published, you will come across countless hurdles at the most unexpected moments and will have numerous decisions to take and tough calls to make. You will come across a variety of people. Some will eagerly guide you and will go out of their way to help you. While others will drown your spirit with their negativity and supply destructive criticism at every step you take. You will have to learn how to handle both kinds with extreme care. My best wishes are with you. Thank you, Hanadi Falki! Wishing you many more books and stories. Is silence ever the answer? How would you react when you know that one of your best friends is lying to you? Who would you trust? Working on top Hollywood projects in the 3D stereoscopy industry is not as rewarding as Zuby thought. Along with mounting work pressure and an arranged marriage to escape from, Zuby is forced to either speak up or accept her fate silently. The hidden truths and half lies from her best friends, Adi and Tanya, only make matters worse. Will Adi owe up to his dark secret? Will Tanya accept the reality finally? 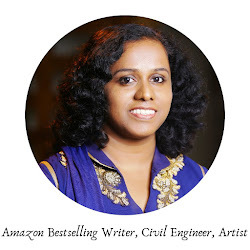 With a professional background from 3D Stereoscopy industry, Hanadi Falki has brought to life an engaging account of the lives of these youngsters in The Price of Our Silence as they face to the industry's dark secrets of exploitation, favouritism and company politics. 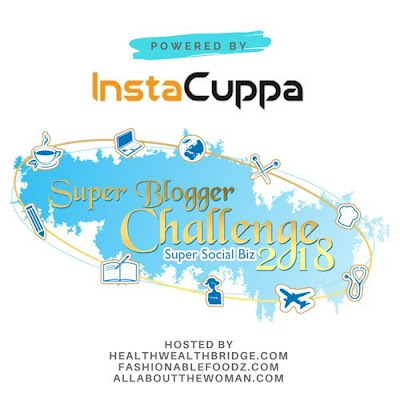 This article is written as part of #SuperBloggerChallenge2018, conducted byHealthwealthbridge, FashionableFoodz and Allaboutthewoman. It should not be repurposed, republished or used otherwise. The content herein is owned by the blogger. SuperBloggerChallenge2018is not responsible for any kind of infringement caused. I like the quote about India a lot. Especially the part about our country being a young nation but an ancient country. That speaks volumes. Your questions were very incisive. Her tips for aspiring writers were very useful to me since I am in the process of writing a book. I began writing 6 months back and since the last month my book has been in the back burner. Thanks for bringing us this interview. 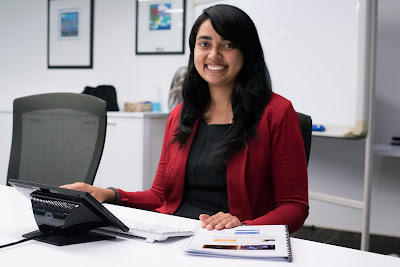 It has been a while since I visited your blog Preethi. But it is always rewarding. I take the author's advice to keep reading and to learn what not to repeat from the book you didn't like. There is s o much to look up to every author's experience and piece of advice. The Price of Silence seems to be the apt book when we speak about the mirage of the corporate world and the dark alley within. I enjoyed reading the author's interview and something I would love to read. All the best to Hanadi!